Cluster bracelet in mint green/honeydew color. 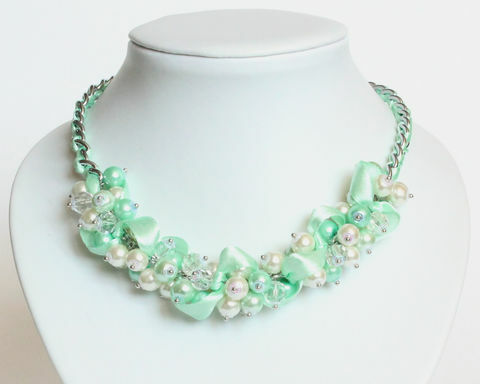 Interlaced with a mint green ribbon. Made of glass pearls and glass crystal beads. Suitable for bridesmaid, for prom, banquet, wedding party or any dress-up events. The bracelet comes with a toggle clasp that can be wear at 3 lengths: 6 1/2", 7", 7 3/4". If you need it shorter or longer, please let me know the length you need during checkout.